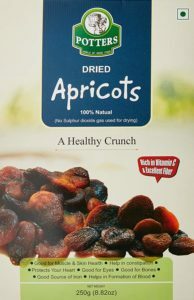 Amazon India have come up with an offer where you can buy Potters Apricots, 250g at Rs 146 worth Rs 360 at a discount of 59%. Buy now before it goes out of stock. How to buy Potters Apricots, 250g at Rs 146?